← Whiteboard Wednesday: Transit King’s Magic Token For You! Whiteboard Wednesday: Blue Spirit Twig People! Happy Whiteboard Wednesday everyone! 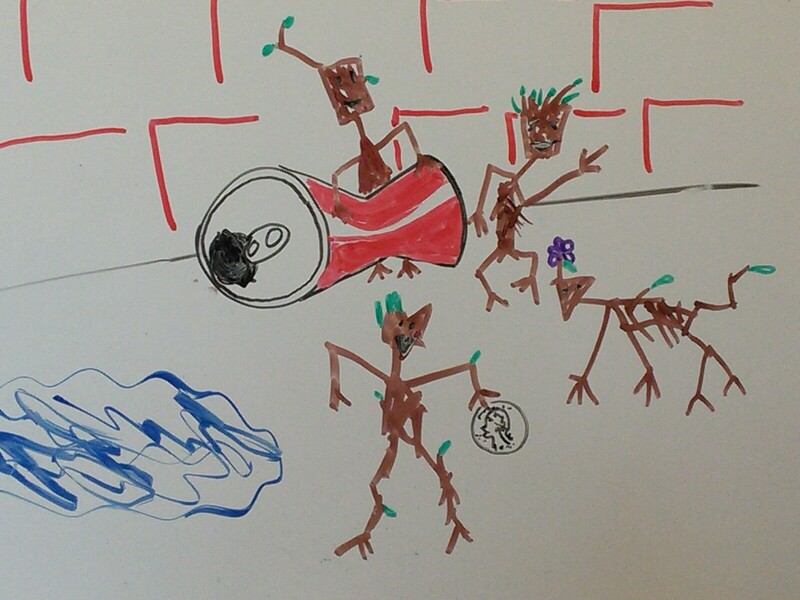 Join the twig people as they jam to a soda can beat behind the coffee shop! These tiny Groots make an appearance in Blue Spirit, which is due out later this year through Seventh Star Press. This entry was posted in Fun Stuff, Publishing, Seventh Star Press and tagged blue spirit, fairies, fairy tales, paranormal, seventh star press, tipsy fairy tales, urban fantasy, whiteboard wednesdays. Bookmark the permalink. 2 Responses to Whiteboard Wednesday: Blue Spirit Twig People! So much fun! Are they playin’ the blues?